Driver Leasing Services is designed to benefit both the customer and the driver. This philosophy fosters a quality business relationship and a ‘Win-Win’ situation for all parties. Driver Leasing Services is dedicated to providing quality service to both Drivers and Transportation Employers. Our staff of trucking industry professionals has backgrounds in the areas of recruiting, transportation and human resources. This unique blend of talent ensures that we understand the needs and proven solutions that come with operating a private fleet. Outsourcing transportation needs and logistics management have become among the most important business decisions our corporate customers have to make. DLS enhances corporate flexibility and reaction time by providing DOT qualified Class A and B drivers with one phone call. 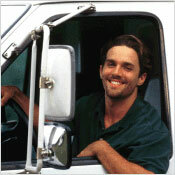 DLS recognizes that most drivers are looking for a permanent position. Our program is focused on the goal of placing our drivers with the company they have been working for. This creates an environment where drivers are always motivated to do a quality job, practice good attendance and dependability, and be courteous to customers. ©2019 Driver Leasing Services, Inc. All Rights Reserved. Website Developed by WebCity Press. Driver Leasing Services is an Equal Opportunity Employer.